Jump to video Tornado in New Jersey? The deadliest twister so far this year was on Feb. 10 in Lone Grove, Okla, where eight peopler were killed. 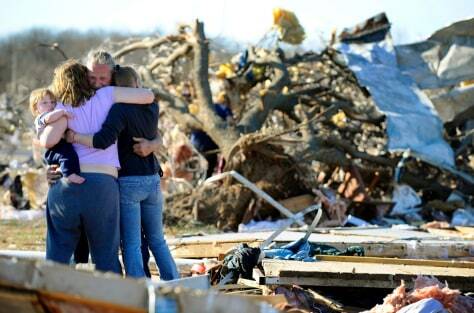 The survivors included Dennis Parker, seen here hugging relatives while looking through what used to be his trailer.